helps lower the exterior and interior noise level, and provide a quiet ride. 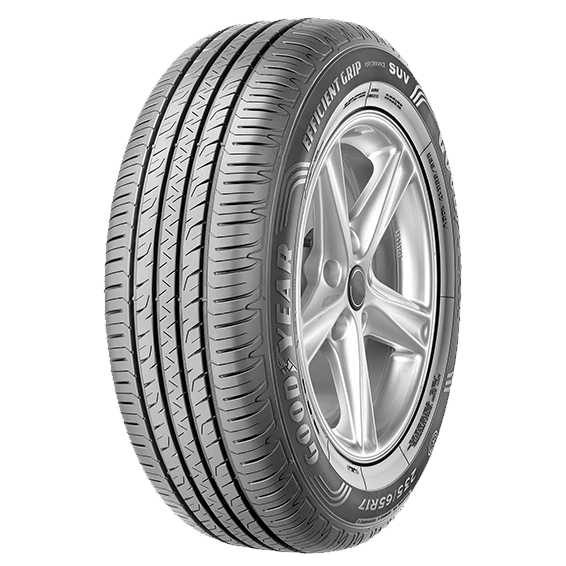 in less vibrations and regular wear throughout tire life. avoid road-induced block movements and reduce tire vibration. noise. grip in wet road conditions. Increased contact area during braking. both wet braking and curved aquaplaning. Increased intramolecular bonding for precise steering response. rim and tire against road curbs. 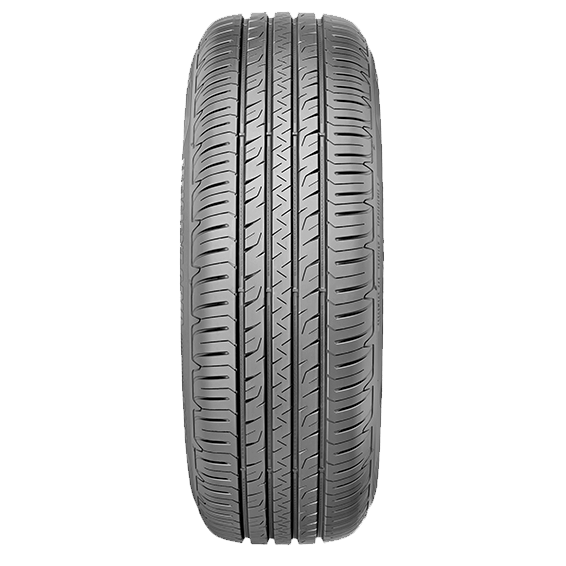 the tire wears. This delivers a quieter and more comfortable ride. of road irregularities, providing for a smoother and more comfortable drive. blocks to increase braking performance. 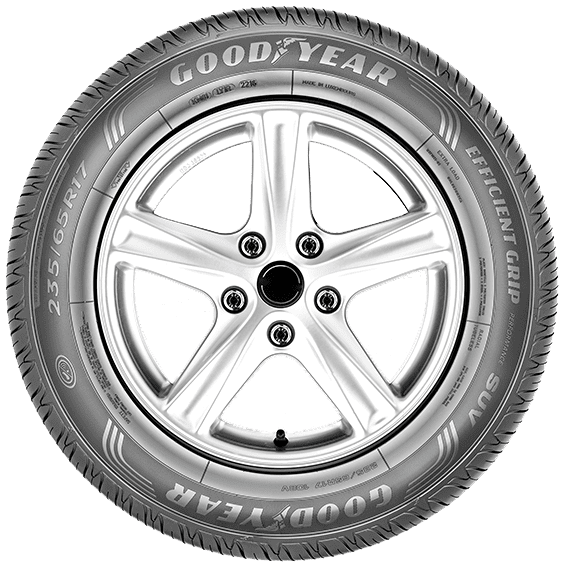 The Goodyear EfficientGrip Performance SUV is available in 17 to 20 RIM size.